What's the single most important piece of ski equipment? If you answered ski boots, you're right. But within that all-important piece of equipment lies the foundation of the entire experience: the footbed. Often overlooked, the footbed is a hidden gem in the bootfitting equation. And, while stock footbeds may suffice, they will not excel. There's no such thing as a great stock footbed. 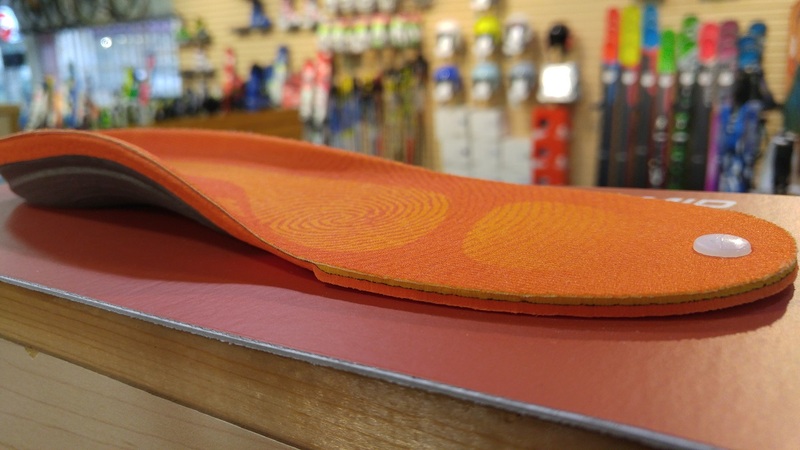 To take your skiing to the next level, an aftermarket footbed fit to your foot is the place to start. So why are more substantial, custom-fit footbeds worth the investment? Not only do they provide a solid base from which to control your skis, but they control the motion of the bones within your feet. With each movement on the snow, our foot bones respond. Pronation and supination are the lateral movements of the foot either inward or outward. Personalized footbeds will control this movement and help to evenly displace the subsequent stress across the full array of your toes, thus removing any awkward and uneven pressure. Less pain, less fatigue, more control, more comfort…this is the future with a footbed. Once you've done away with the stock footbed that came in your boots, there are two options to choose from: a prefabricated footbed off the shelf, or a custom footbed tailored to the precise dimensions and peculiarities of your foot. Performance and fit will be better with more customization, but for an easy step up without breaking the bank, a prefabricated pair will still provide some benefits. Whichever you choose, be sure to do so before undergoing a boot fit. Footbeds are the first thing that you should square away before making any adjustments to the boot. Why it’s time to retire your stock footbeds and invest in comfort, fit and performance. Get a free fluorescent Skiis & Biikes vest when you buy a bike in store. You can now use your $50 credit! Bring your receipt in store and use it like cash on anything over $100, even if it's on sale. Thanks for Supporting Skiis & Biikes! Use this like cash in store. When you buy a ski boot, footbed and sock combo in store. Get $30 off your purchase when you spend $60 or more on any item online or in stores.